Loris Karius will start in goal for Liverpool when they face Plymouth Argyle on Wednesday, while promising Academy winger Harry Wilson could make his first-team debut, Jürgen Klopp has revealed. The Reds head to Home Park tomorrow looking to reach the next stage of the FA Cup at the second attempt, after an initial third-round meeting with the Pilgrims at Anfield earlier this month ended goalless. When asked if Karius could return to action between the sticks down in Devon after tending goal in the sides' first clash, Klopp replied: "If nothing happens, yes, then Loris [will play]." The German also spoke about the possibility of yet another young player making the step up from the Academy in Kirkby to the senior squad. U23s captain Wilson was absent from their narrow defeat to Manchester United on Monday evening, and has recently trained at Melwood under the eye of Klopp and his coaching staff. 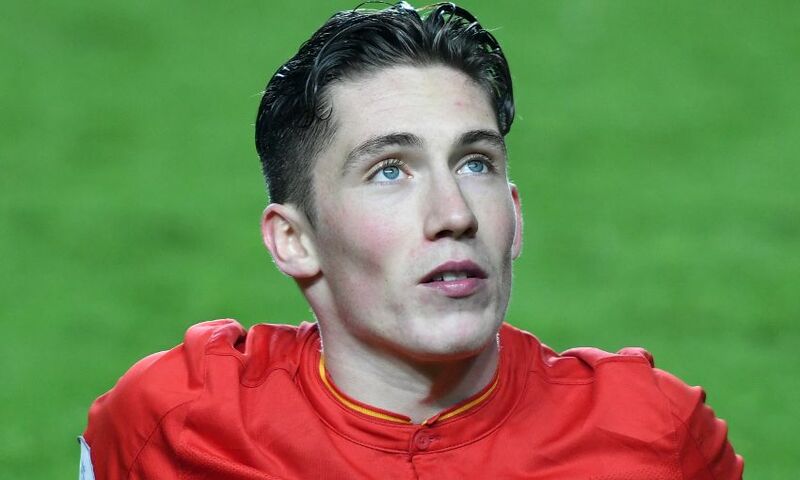 The Reds boss added: "Harry Wilson is a wonderful young player, that's how it is, in a few moments, I was impressed. "I have no line-up but, in our situation, we had to keep a few players out of the game [against United] yesterday but obviously that didn't help, so apologies to the U23s! Again, my fault. "We need to have the choice of what we can do and he is part of all our thoughts for this game and we will see." With Plymouth's visit to Anfield coming at the end of a packed festive fixture list, Klopp named the youngest starting XI in the club's history in a bid to keep the more senior members of his squad fresh. The 49-year-old suggested he is likely to name a different line-up this time around, but says he will have faith that whatever team he puts out can claim the win. "We have, in general, a very young team. I said before the last game we had a lot of good reasons to line up like we did and it will be same case for Wednesday, we will have good reasons for the line-up," he explained. "The first and best reason is we want to win the game and want to go to the next round of the FA Cup. We will see. "Probably, it will be different to the team we had in the first game but that's not 100 per cent sure so we have to wait a little bit. It will be good." Liverpool rained in 28 shots on the Plymouth goal when the teams first met, but were unable to break down their opponents' deep defensive line in order to avoid a replay. Klopp is unsure whether Derek Adams' team will approach Wednesday's game differently, but says he has spoken with his squad about ways to improve on their last performance in this competition. "I heard a lot of things after the game but it was really a concentrated defensive performance and we couldn't come through, so all the credit for Plymouth," he continued. "I don't know if the plan from the first second was to be that deep or not, but it's up to us. "We cannot wait until they do something and try to make a counter-attack but there are possibilities to speed up the game, we didn't use them in the first game. "We spoke already about it and the game will be different. I think 14,000 supporters there and they made already here a kind of noise so the atmosphere will be good, they will try to push them. "We have to do what we did to Manchester United – to cool the atmosphere down with the way we play, that's what our main target is for this game. "We cannot react to what they do. They are allowed to defend with all they have, because we are a Premier League team and they are a League Two team. "Usually, they play differently, they are a top team in League Two. But to go to the next round, as a lower-league team, you should concentrate on defence, that absolutely makes sense. "If they open the space, we'll take it, but I don't expect it."